We present here the Essence Singapore, a low-rise condominium under development that will complete around 2023. If you have been looking for a cosy home in a laid-back, quiet and green residential estate with a slightly rustic charm, then this one’s for you. 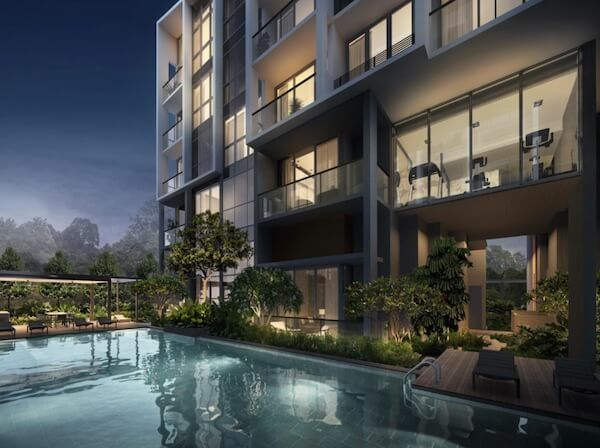 It sits close to the junction of Upper Thomson, Mandai, and Sembawang Roads. This section of Upper Thomson / Sembawang is sandwiched between Lower and Upper Seletar Reservoirs and their nature reserves, which makes for a very green environment within walking distance. 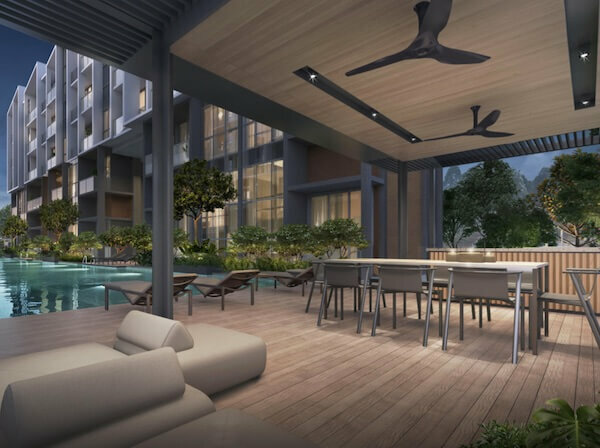 The neighbourhood of the Essence condo is one of the least densely populated residential areas of Singapore, with limited supply of new condominiums. Besides the nature reserves and parks, most buildings in the vicinity are landed houses, with a couple of low-rise condominiums around. 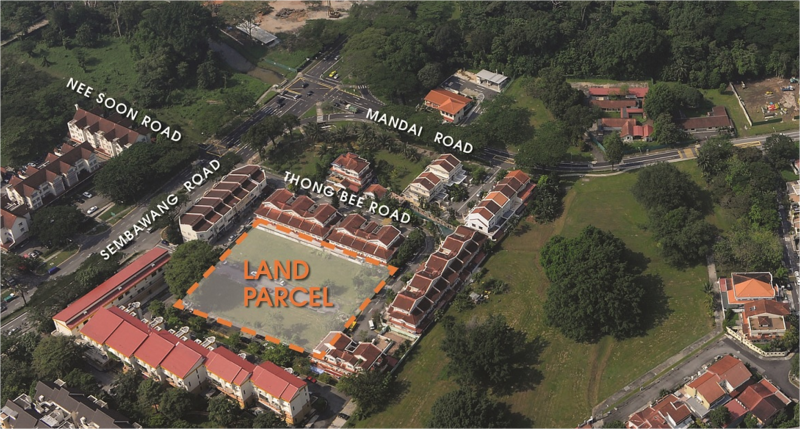 We have the landed estates of Hong Heng Terrace and Mandai Gardens behind, and Springside and Springleaf to the front. 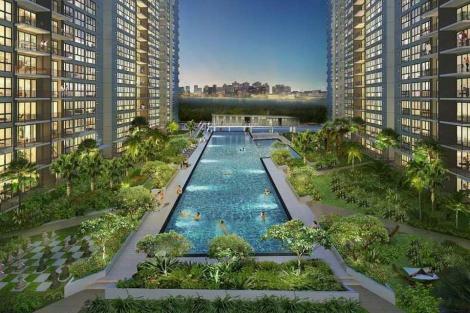 This part of Singapore is sometimes characterised as being remote and out of the way. In reality, it is closer to the city centre that most people realise. From the Essence condo to Raffles Place, would take about 21 minutes driving time off-peak via the CTE (Central Expressway), since it is close to the CTE exit. That timing will be even shorter once the North-South Expressway opens. The completion of the Thomson MRT line around 2020 will also make this part of Singapore more accessible for those who don’t drive. 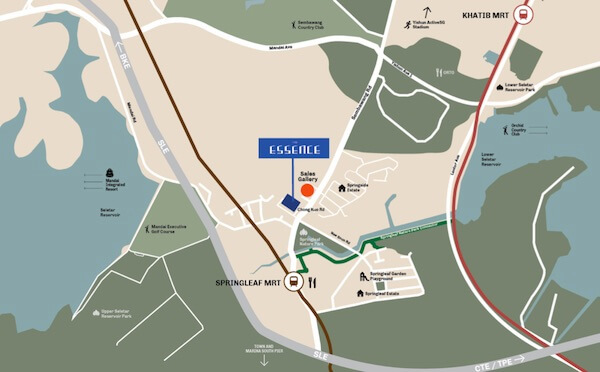 The good news is that the Essence condo is within walking distance of Springleaf MRT station, about 520 metres, or 8 minutes walk away. From Springleaf station to Orchard station should take around 25 minutes, which is a comfortable ride. This is a roughly squarish plot of land. Originally Chong Kuo Road ran right through the site, but URA closed the road, and sold it together with the 2 pieces of land on both sides of it to form this parcel. So what we have now is an interesting site, that is an almost classical square surrounded by low-rise buildings. 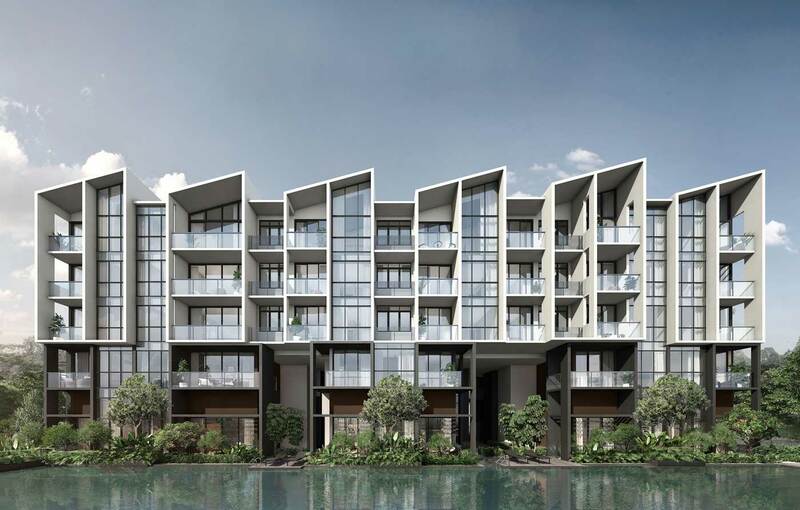 Landed terraces on its south and west boundaries, and apartments flanking its north, with the main entrance coming in from Sembawang Road on its east. On both sides of its main entrance accessway, are a couple of rows of old shophouses, with a nice choice of eating houses and cafes. Across Sembawang Road to the front of the site, are more rows of shophouses with more food joints, and Springside Estate behind that. The surrounding houses are generally slightly shorter than the Essence will be, so there should be quite good wind flows and light. 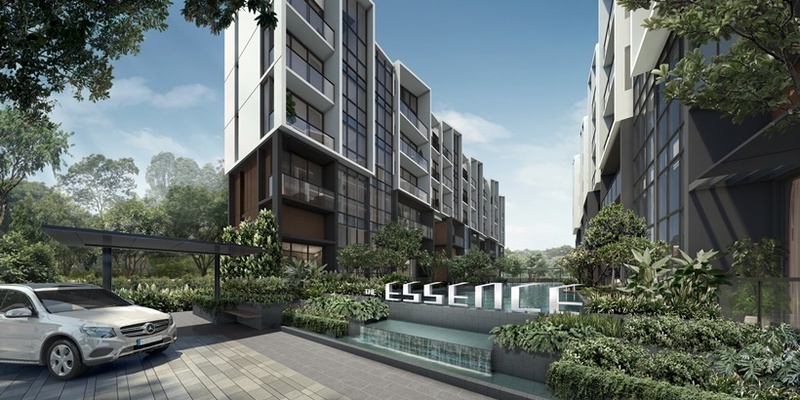 he Essence condo is being developed by a joint venture of Lian Soon Holdings and OKP Land. OKP Land is the real estate arm of OKP Holdings Limited (OKP). OKP and its subsidiaries are a leading civil engineering and infrastructure group incorporated in Singapore in 1966. The Group specialises in the construction of a wide range of projects, embracing both private and public sector work. From residential projects such as the luxury 21 Angullia Park, to flyovers, roads, bridges and expressways, and from airport runways and infrastructure, to petrochemical plants, and oil and gas-related infrastructure. 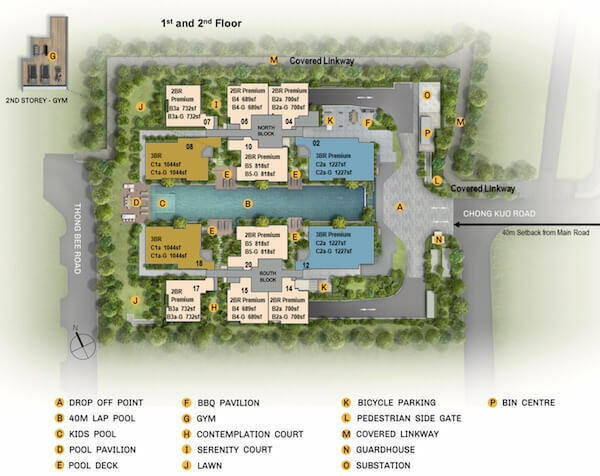 OKP Land expands the Group’s core business into property development and investment. In partnership with other developers, it has successfully launched and completed projects such as LakeLife EC in Jurong, and Amber Skye at Amber Road in the East Coast of Singapore. Shopping, Supermarkets & Food. In the immediate vicinity, you can find food outlets and eating houses and shops within a short walk. 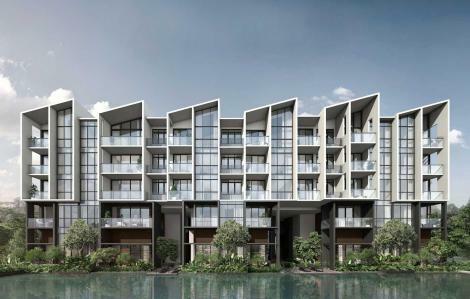 Some directly in front of the project, and others across Sembawang Road at The Brooks I and II. 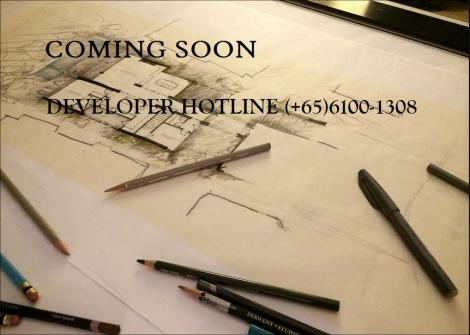 For more, make your way 3 km to Northpoint Mall, one of the largest shopping centres in the north of Singapore. Or to Sembawang Shopping Centre, about 5 km away. Better still, take the train 4 stops down to Upper Thomson station and Thomson Plaza.